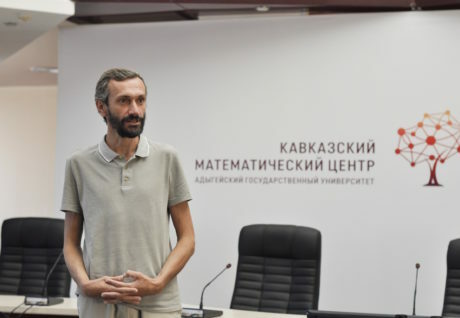 On September 1, Alexey Savvateev, Doctor of Physics and Mathematics, taught the first class of the new master’s program in Game theory. This unique program became a reality at Adyghe State University due to a close collaboration with the Caucasus Mathematical Center and Moscow Institute of Physics and Technology. 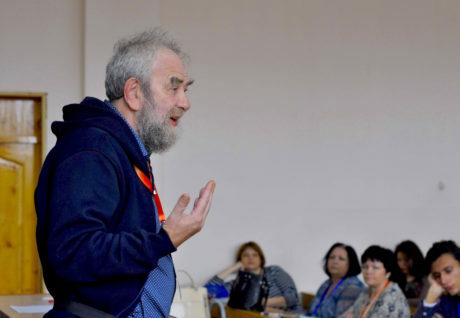 On April 30-May 8, 2019, the IX Open Seminar for math teachers will take place in Maykop, Republic of Adygea. The 15th All-Russian Camp “Young Mathematician” will be held at the children’s camp “Solnechny” at the All-Russian Children’s Center “Orlyonok” from September 9-10 to September 29-30, 2019. The second Family Mathematical Olympiad was held on April 14, 2019 at the Adyghe State University. “Festival of Mathematics” took place on April 9 at the Adyghe State University. April 8, 2019 at 17:30, Evgenia Katz will give a lecture “Mathematics for kids. How to interest pre-schoolers and younger students in mathematics? ”. The “Mathematical Guestroom” at the Caucasus Mathematical Center hosts public lectures and meetings with leading mathematicians whose contribution into science is invaluable.The second guest of the “Mathematical Guestroom” was Alexandr Gaifullin (Corresponding member of the Russian Academy of Science, Doctor of Physics and Mathematics). Experimental Economics is a part of economics that researches human behavior and tests the predictions of the economics theory in the conditions of a controlled experiment. The experiments in economics are analogous to the ones in Physics, Chemistry and other natural sciences. The only difference is that their subjects are people who make the economics decisions in experimental laboratories or computer classes where they play games. During the lecture, the audience got introduced to the basics of experimental economics, learned about interesting examples, and took part in some real-life experiments. 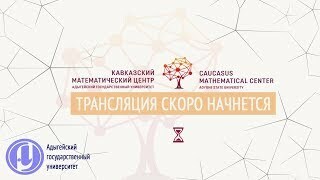 Daud Mamiy (Deputy Head of the Caucasus Mathematical Center, Chair of the Faculty of Mathematics and Computer Science at ASU, director of the Regional School of Sciences and Mathematics) will show that Mathematics is beautiful and one can get pleasure from solving problems.